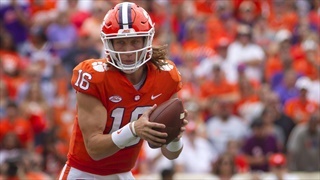 Clemson quarterback Trevor Lawrence had an impressive return from injury Saturday afternoon against Wake Forest. 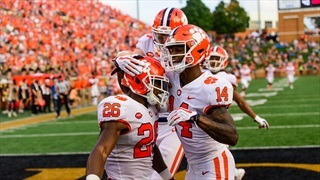 True freshman Justyn Ross' emergence at Clemson has been swift. 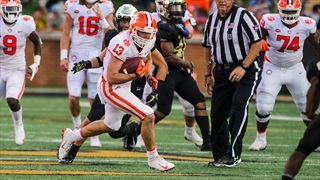 Clemson wide receiver Hunter Renfrow did it all for the Tigers against Wake Forest. 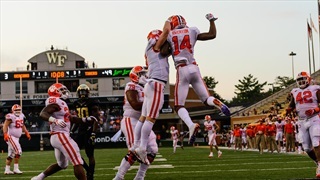 Clemson's performance against Wake Forest was the perfect ending to the emotional roller coaster the entire program had been on for two weeks. Now, the Tigers get to take a deep breath during the bye week. 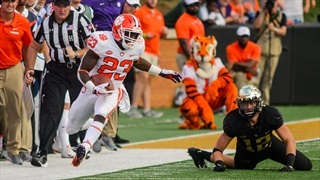 The Atlantic Coast Conference announced today that running back Lyn-J Dixon has earned ACC Rookie of the Week honors for his contributions in Clemson's 63-3 win against Wake Forest on Saturday. Clemson has now opened 6-0 for the fourth straight season and for the sixth time in the last eight years. The No. 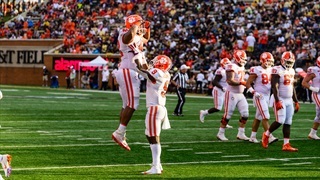 4 Tigers dominated the line of scrimmage, rushing for 471 yards and racking up 12 tackles-for-loss on defense in a 63-3 win over the Demon Deacons in Winston-Salem. 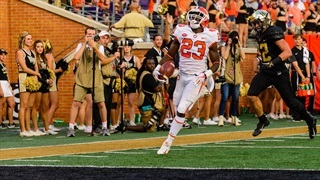 Clemson's staff got the memo about being called finesse and answered with a dominant rushing performance against Wake Forest. 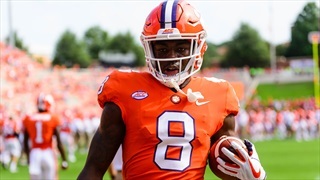 Travis Etienne, Lyn-J Dixon and Adam Choice all eclipsed the 100-yard rushing mark as the No. 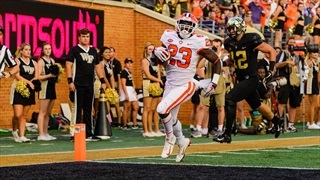 4/4 Clemson Tigers amassed 698 total offensive yards en route to a 63-3 defeat of the Wake Forest Demon Deacons at BB&T Field on Saturday afternoon. 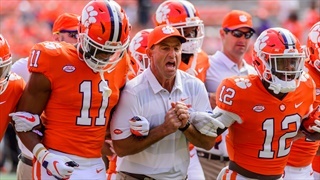 Clemson remained behind Alabama, Georgia, and Ohio State in the latest AP Poll. 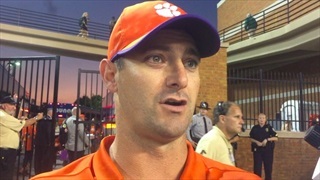 Clemson held at the No. 4 spot in both major polls for a second consecutive week. 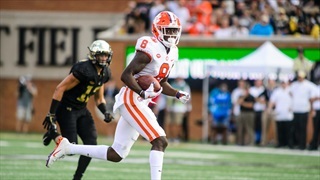 Clemson raced past the Wake Forest Demon Deacons Saturday 63-3, but that didn't phase the voters in the Coaches Poll as Clemson held at the No. 4 spot for a second consecutive week. Clemson’s 60-point margin of victory was the program’s largest in conference play in school history. Dabo Swinney, Jeff Scott, and Brent Venables after Clemson's 63-3 win over Wake Forest. 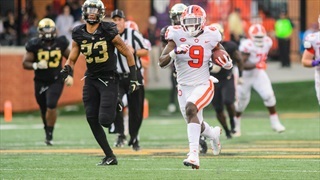 Following Clemson's 63-3 win over Wake Forest, Jeff Scott gave his thoughts on some comments from Desmond Howard during ESPN's GameDay program earlier in the day. Clemson's 63-3 victory over Wake Forest felt like you were watching the 4x100 relay at the Olympics - with Christian Wilkins begging to be the anchor. The Tigers didn't just own the line of scrimmage with 471 yards rushing. They buried their opposition in the process. 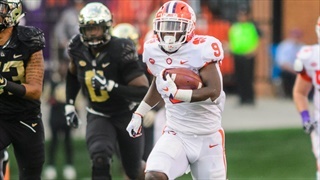 Clemson explodes for 471 rushing yards and six touchdowns of more than 52 yards in an annihilation of Wake Forest in Winston-Salem. 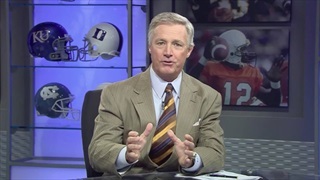 Clemson heads to Wake Forest this afternoon to take on the Demon Deacons, and Tommy Bowden remembers this game very vividly. Spend the game with fellow Tiger fans in our LIVE chatroom as your No. 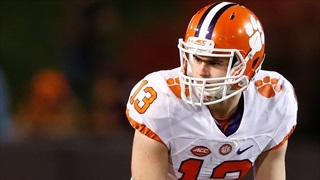 4 Clemson Tigers (5-0, 2-0) face off against Wake Forest (3-2, 0-1). As Clemson turns their attention to Wake Forest, we give you the keys to victory this afternoon in Winston-Salem. 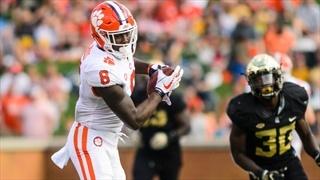 We've got some final thoughts before Clemson faces Wake Forest on Saturday. 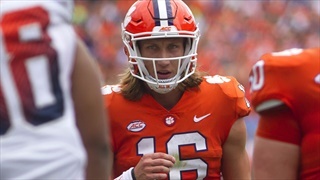 The Tigers look to get more experience for quarterbacks Trevor Lawrence and Chase Brice on the road in Winston-Salem.